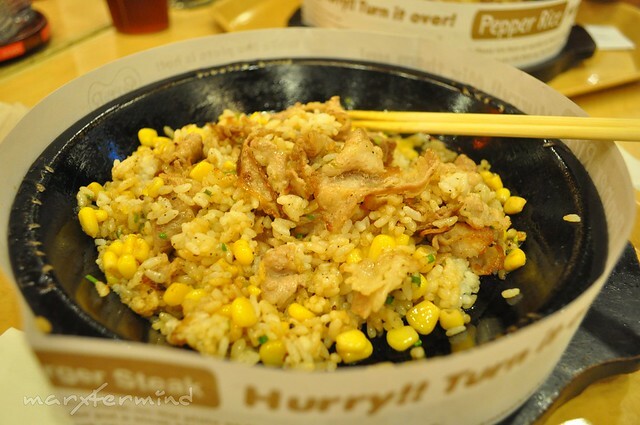 It was my first time to try Pepper Lunch! 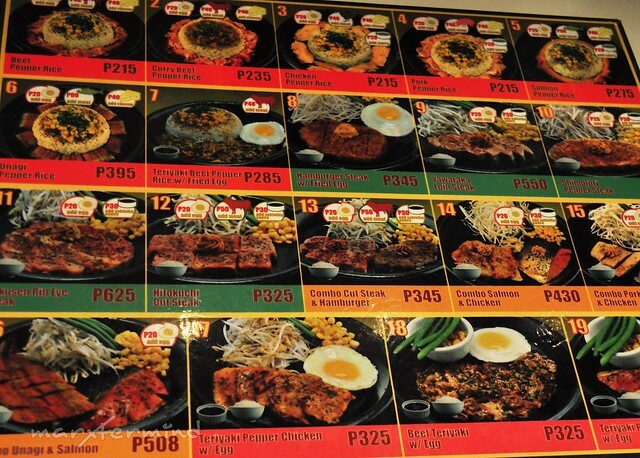 I’ve seen several branches of this “fast-steak” restaurant from different places but I keep on ignoring this since I’m not a fan of such food / cuisine. Until one time when I had a get together with some of my closest college friends. We dined in and tried their foods. I’m not familiar with their menu so I asked a food recommendation from my friend, Mane. 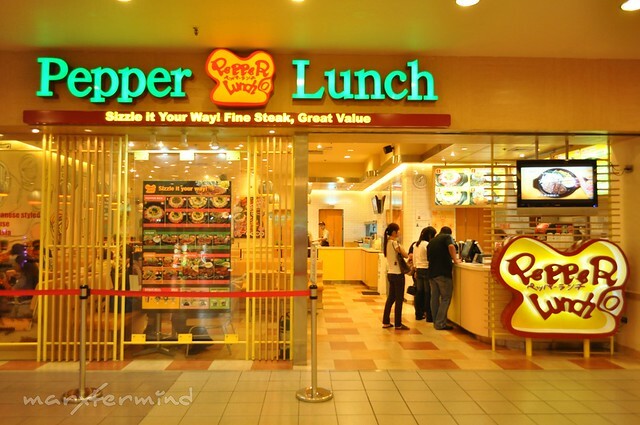 She already tried the Beef Pepper Rice and Chicken Pepper Rice. So me and my other friend, Louie ordered Beef Pepper Rice and Mane ordered Chicken Pepper Rice. By the way, we took our orders first at the counter before we took our seats. (Customers need to take their orders first before they take their seat). I don’t know if it’s the restaurant’s or branch’s policy but I can’t seem to find the logic. Though there are only few customers that time, I found it hassle / uncomfortable. You can cook both sides of your steak as the beef is raw. When the steak is ready, please put a steak sauce (Amakuchi or Karakuchi) on it. You can place the cooked steak on vegetables so that it will not be overcooked. You can also cook the vegetables on the plate. Then you can taste it with a steak sauce (Amakuchi or Karakuchi). And then… here’s my food! I enjoyed cooking the raw beef. I like how it tasted at first. 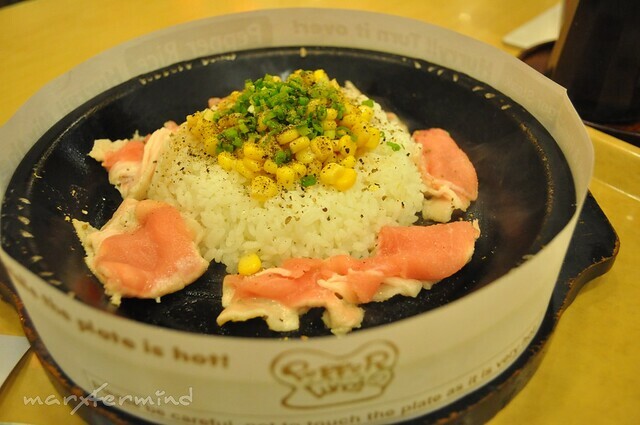 It is something different from my taste bud, I can taste the pepper and the sauce. But unfortunately I wasn’t able to finish my food. Nauyam ata sa food, parang natapangan ako sa lasa. I had it to go and ate it at the office but it was not good anymore. Nuknukan ng daming pepper ang meals. I think I'd love that. Mahilig ako sa mga hot. hahaha! Thanks for sharing. May 'following directions' pa bago kumain?! hahaha! Kaloka. Nai-try ko din yung sinuggest mong mga resto sa Ayala triangle before New Year ata yun. Me and my friends enjoyed it. Salamat nga pala ha.